Will be posted as they become available. Watch this webpage for upcoming information. 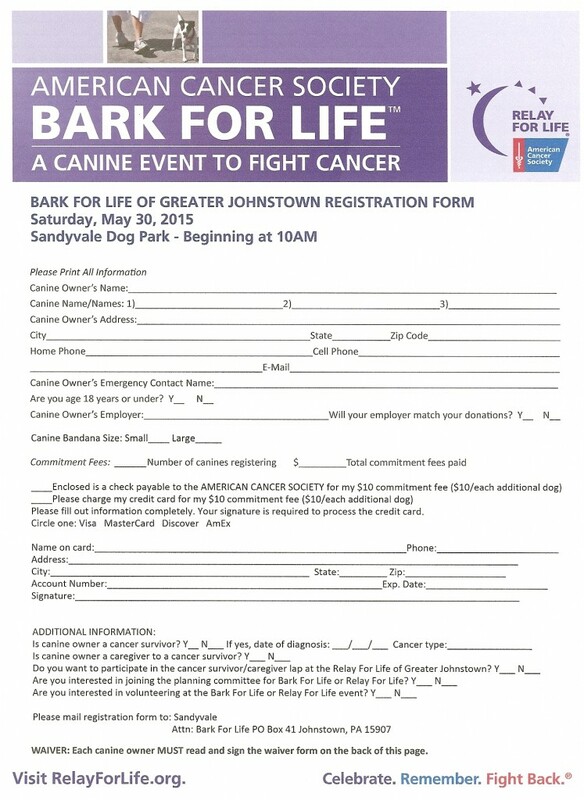 Join the fun at Sandyvale on Saturday, May 30th as we open the new dog park agility program with a ceremony that will also kick off the American Cancer Society Bark for Life event. There will be music, food, a dog walk, door prizes and goodie bags for the first 50 pets will be provided. Fill out and send in the registration form below if you and your pet would like to participate. 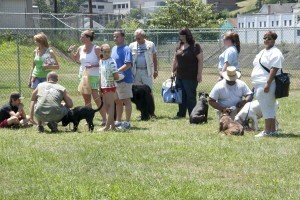 The public is invited to attend with or without a pet. 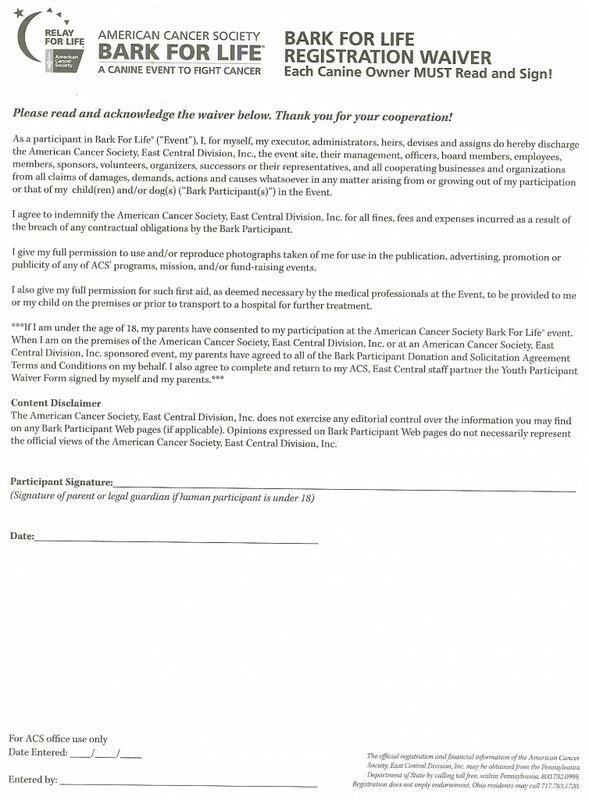 All proceeds will benefit the American Cancer Society.